The RE Store’s aisles are not only filled with items donated from customers or by the deconstructed used building materials that our salvage crew is bringing back from the field. We also make various manufacturing by-products available to the public. Over the years we have been developing partnerships with local manufacturers to reduce the material going to the landfill. We defray or even eliminate the disposal costs through regular pick-ups of unwanted materials by our salvage crew. These components are sorted out by the manufacturers through stringent quality control systems, but the flaws are often only minor, such as non-matching stains, off-set drill patterns or miscomputed sizes. Now our new waste audit program is furthering this salvage process. In teaming up with our partners and bringing in the builders and repurpose specialists of our REvision Division we assist on site in evaluating and diverting those industrial byproducts to new uses. As a non-profit we are also able to issue a tax receipt to the manufacturer for the value of the items received. In all these steps we help to raise the “green” profiles of our partners, bring about a significant reduction to the waste stream and give you, the customer, quality and affordable building materials. HERTCO Kitchens, the Ferndale, Washington, high end custom kitchen cabinet manufacturer is one of our oldest and foremost partners in this endeavor. We’ve been picking up materials from them since 2004. 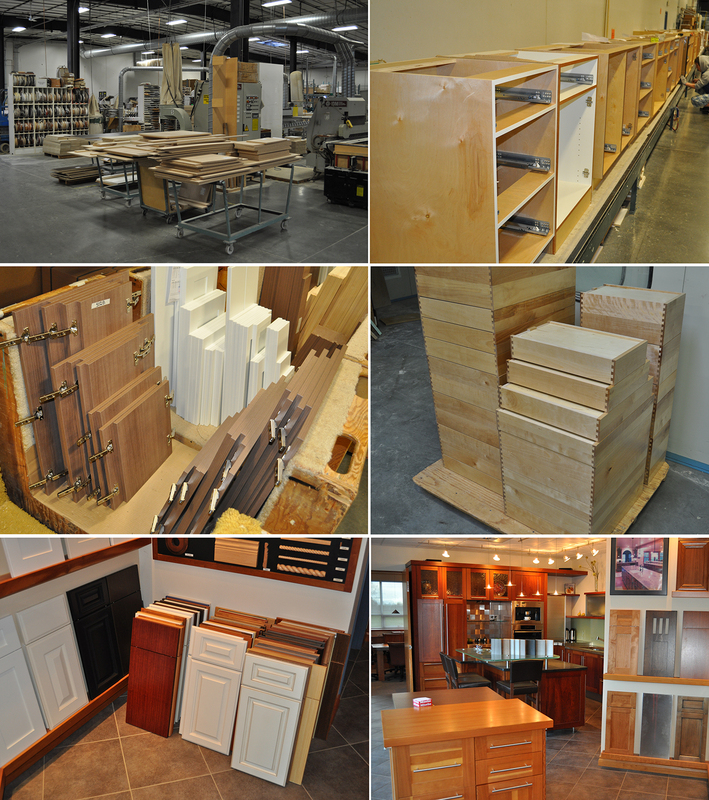 The cabinet doors, drawer fronts and panels of all kinds that are not making the “final” cut into Hertco’s fine line of cabinetry have become longstanding and prized components to our customers for a variety of uses. Their exceptional solid construction, select wood and lasting stains and finishes are outstanding attributes for reuse. It matters to us, as well, to save the time and energy that went into that production by HERTCO’s craftspeople. For over 4 years now these salvaged parts have also become featured building blocks for a variety of furniture items built at The RE Store in Bellingham. Eberhard Eichner, the REvision Division’s leading material salvage furniture designer, brought over 35 years of international shop experience and several innovative re-use construction techniques to the repurpose world. New uses for the HERTCO material components have been introduced through his experimental background and prototypes, constantly changing showroom pieces and custom work. They have become the sides of chests, boxes and urns, bookcases, benches and seats, tables, reconstituted cabinets and beds. With more builders and designers recently joining the staff of REvision Division and the development of a training program at The RE Store you sure will discover these doors and panels as well as the many other reclaimed parts from various partners in a wide variety of items, available for purchase either at the store or through our Etsy shop. Of course, through your own desire to create you will imagine a good many more uses. We invite you to come and browse the aisles for “the goods” and always ask for the builders of the REvision Division to unveil some construction secrets.